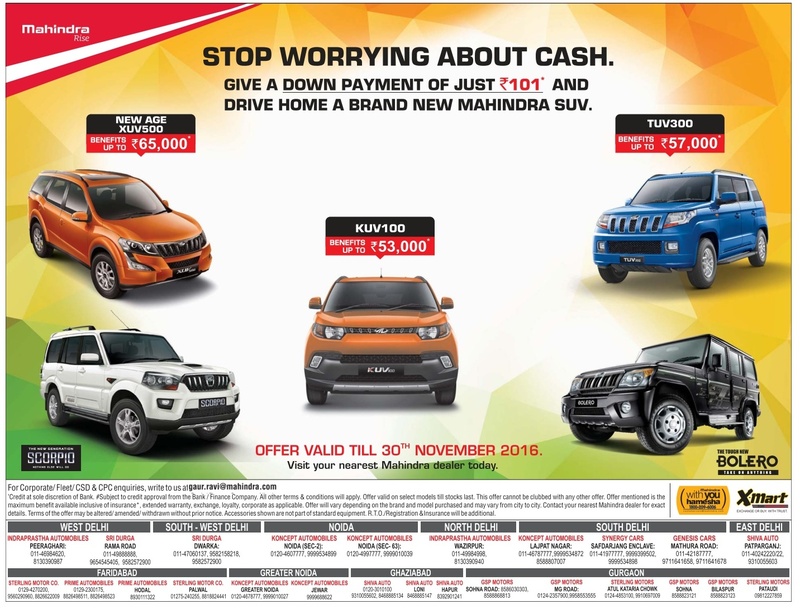 Stop worrying about cash. 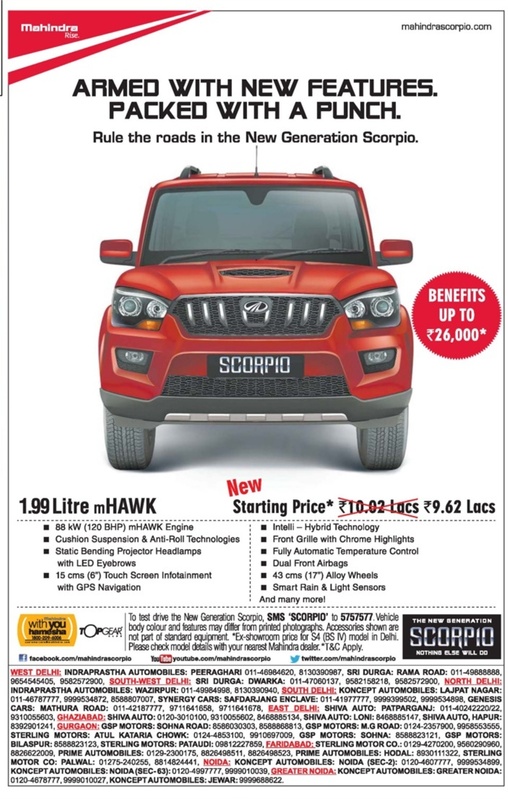 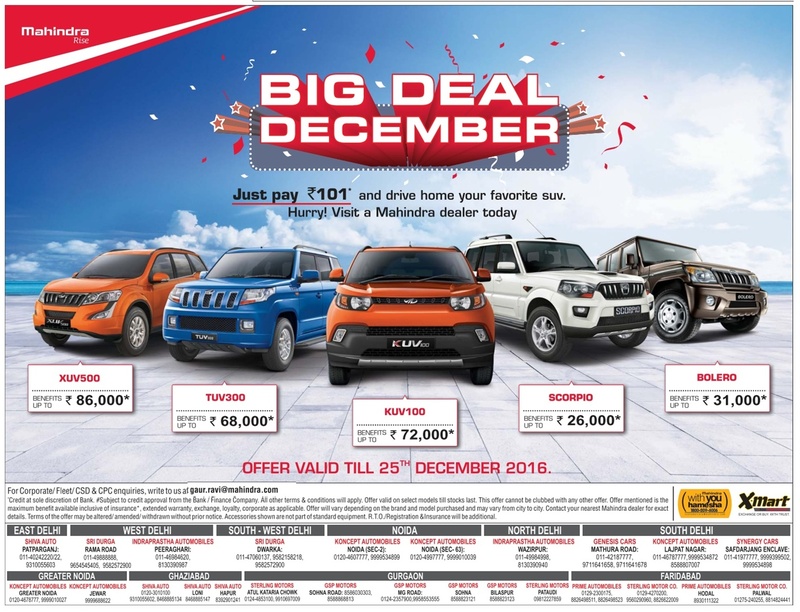 Give a down payment of just Rs 101* and drive home a brand new Mahindra SUV. Offer valid till 25 th December 2016. 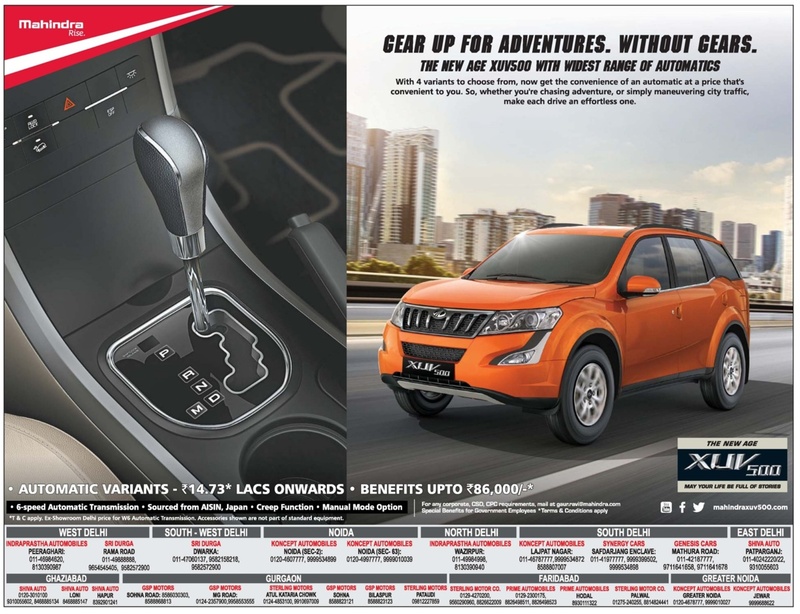 Visit your nearest Mahindra dealer today.